Google’s Pixel Buds launched last October amid a blizzard of publicity. They were of particular interest to the translation industry due to the inclusion of Google’s voice-activated smart assistant that, in theory at least, pairs with the Google Translate smartphone app to provide real-time translation in 40 different languages. Now that we’re four months down the line it’s time to examine how well they’ve been received, how they compare to rival products and, most importantly, what their impact on the translation industry has been and what it might be in the future. Let’s start with a brief overview of the product and its features. The Pixel Buds retail at €169/£149 and for this you will get two earbuds, tethered together with a small wire that sits on the back of your neck, with a microphone, touchpad and speakers, all contained in a 66.2 mm x 65.5 mm x 28.6 mm charging case. 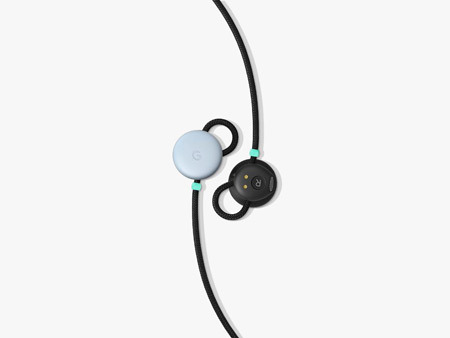 It’s available in three colours (‘Just Black’, ‘Clearly White’, and ‘Kinda Blue’) with a battery life that offers 5 hours of listening time (although Google also explains that multiple charges will get you up to 24 hours). It has some features that we’re already used to (one-touch audio control, tap to play and pause, swipe to change the volume) and then it has its major USP – real-time voice-controlled translation. This is clearly the Pixel Bud’s distinguishing feature as there are a wide range of wireless earbuds on the market already, most notably Apple’s AirPods. Comparisons between Google’s product and that of its tech giant rival are inevitable, particularly as the products offer similar functionality (albeit with varying levels of success), but that’s not the focus of this blog: we’re more interested in examining the Pixel Buds’ potential to be a reliable and practical translation tool. Let’s start with the translation process. As I mentioned, in order for the translation feature to work you’ll need to have the Google Translate app running on your smartphone (which must be a first-generation Pixel phone or a Pixel 2 phone – it’s not compatible with other handsets). Once you’re set up you activate the Assistant by pressing and holding the right earbud and giving a command, such as, “Google, help me speak French”. The Google Translate app will then launch; you tap and hold the right earbud again and say whatever it is you need to have translated and, voilà, your phone will provide a written and audio translation for your interlocutor, who will then respond in their language, which goes back through Google Translate and you hear or read the English. Simple, right? Well, yes and no. Some reviews have been positive: Business Insider tested translation performance out across a number of languages (see here) with satisfactory results. In a majority of cases the desired message was translated correctly, although there were some hiccups. Indeed, this ad-hoc type of translation may be useful in certain informal situations, making it an attractive, innovative product that complements its other positive features such as battery life, sound quality and availability of the Google Assistant. The problems arise when thinking of when you would use the translation feature of the Pixel Buds in anything other than very specific, informal situations or as a novelty. The speak-wait-listen, stilted conversations it produces are unnatural and uncomfortable and it’s difficult to image anyone persevering with anything other than a brief exchange. This is exacerbated by the perennial problem with voice-activated assistants: unless you speak the ‘Assistant’ lingo it’s likely that you’ll be misunderstood and have to repeat yourself a couple of times. That might be manageable if you’re on your own but if you’re stood in front of a stranger in a foreign city trying to get directions to the train station then you may run out of patience a little faster. Ultimately, the translation feature of Google Pixel Buds suffers from the same issues as all machine translation. It can provide reasonable translations of basic language but not a lot more. As a result, the translation quality is nowhere near good enough for use in professional situations, yet. Combine this with the fact that it still relies heavily on the smartphone screen and we think that this is an ambitious but flawed product. The march towards human-quality machine translation may be in full swing, but this is a sideways step.